I am writing this with such a huge smile on my face for multiple reasons. Hey everyone!! 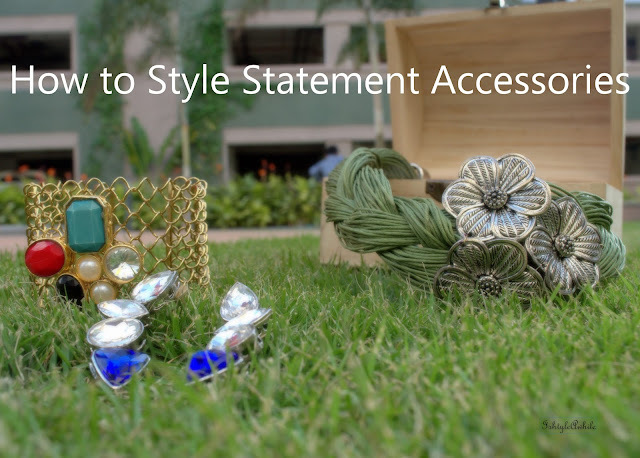 Finally I am sitting down to write a post after a really long break. I cannot tell you the number of times my fingers have been itching to just type away and get all those words tumbling around in my head, onto this medium. Vacations can be a lot of work and getting back from a 3 week vacation is no joke. There was jet lag to deal with, a house filled with dust and dirt, and an empty fridge but hungry stomachs. Getting back to routine took a bit more time than I anticipated and I don't think I have completely recovered yet (A mini staycation with lots of sleep and good desserts sounds perfect right now). So the first reason I am smiling is because I am writing again. Oh how I have missed this feeling! The second reason I am smiling is because I am having a great hair day. In fact I have been having multiple great hair days and many of you have noticed this on my Instagram stories (Wait you don't follow me there yet? Why not?). I have been getting a lot of compliments and questions regarding my haircare routine. I did roughly talk about this on my stories on day, (see this is why you should follow me on Instagram) and I promised a complete review of the products that I am currently using. 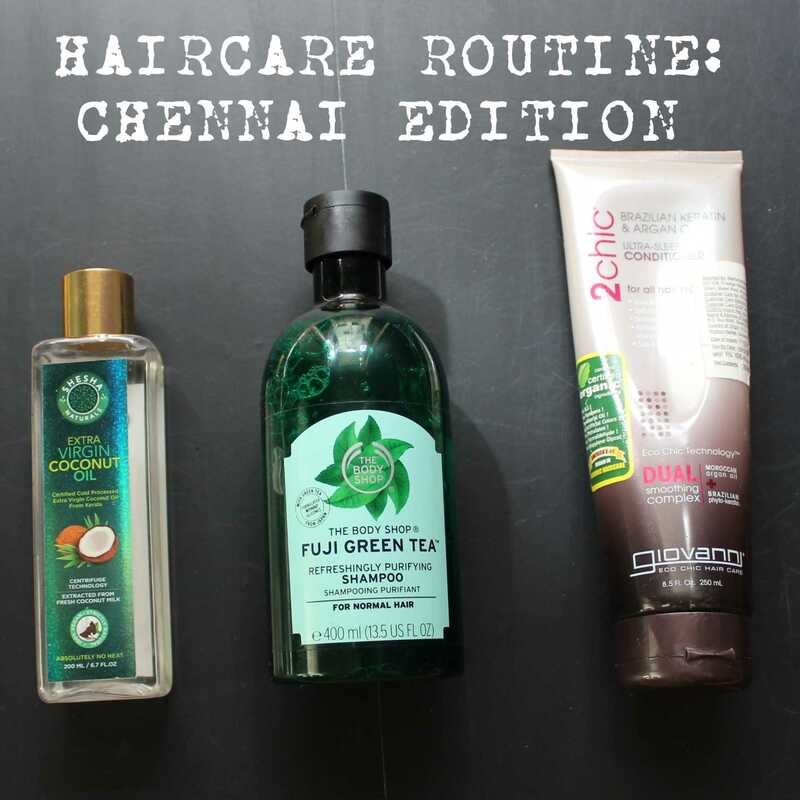 I am calling this the Chennai edition because over the past year I have grown to understand that my hair and skin have complete different needs in Chennai and Bangalore. 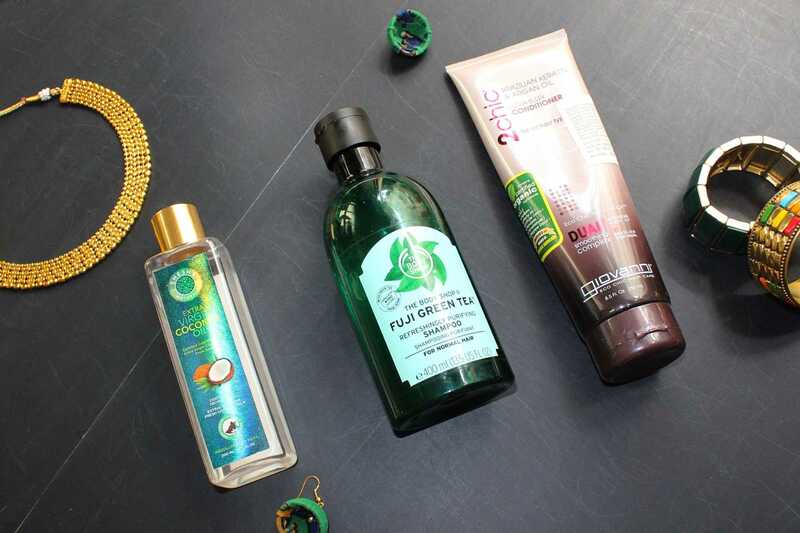 Problems I was facing - Excess Hairfall, itchy dry scalp, frizziness, unhealthy looking ends, limp and dull body of hair. What was my plan of action? The first thing I did was get a doctor's consultation. Remedico is a website that offers an online consultation with a dermatologist. When you pay the fees they send you a link on your mobile and there are a bunch of questions that they ask. You have to send them images of your scalp and hair condition and then they send across a detailed report along with treatment plan. They recommend a diet, some lifestyle changes, and medication. Mine was a three month course for the medication, but I have to be honest, I didn't complete it. I was very irregular and they had asked me to do some tests, which also I didn't do (a complete health checkup is anyway due). This was close to a year ago, and the only thing that I took from that treatment plan was the use of Scalpe, a medicated shampoo for dandruff. However this step sort of set the ball rolling in the direction of Project-Fix-My-Hair. I have found a new dermatologist near my house and he has been fixing my hair and skin problems. In the span of the year I have tried multiple other products and now for the past 4 months I have sort of narrowed it down to 3 products that have been working brilliantly for me. Hair Oil- The Shesha Natural Extra Virgin Coconut Oil, is something I have been using for about 5 months if not more. This is a cold processed coconut oil, and it came just at the right time. Extra Virgin Coconut Oil has SO many uses, but I stick to using it only for me hair. I apply a generous amount of the oil about 20 minutes before a shower. If possible I try to keep it on for atleast an hour but if not, then a bare minimum of 20 minutes. It is really not sticky and I find that my hair really absorbs this well. I used oil my hair overnight but the dermat from Remedico and also the one near my house told me to never do that. Apparently I have a scalp that attracts dust and dirt easily and leaving oil on overnight sort of aggravates that condition. The Shesha Natural Extra Virgin Coconut Oil is pretty much the only oil I have been using for the last few month and I love it! I will definitely be repurchasing this one. Priced at 299 for 200ml this is definitely an affordable hair oil. 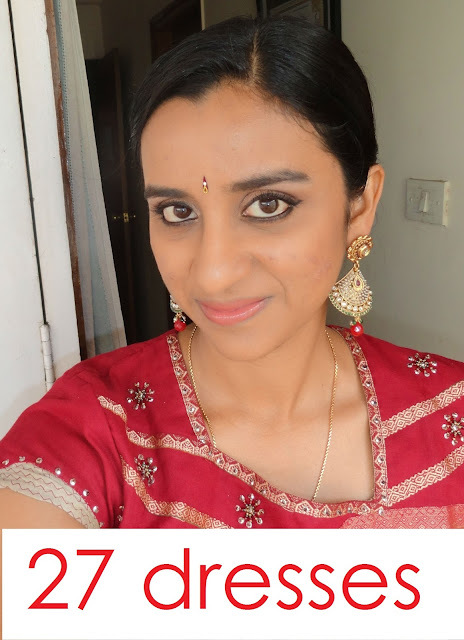 Shampoo- So I was using the Devathali Shampoo from Shesha Beauty for quite a few months, and while I do like it, I have recently discovered a shampoo that I LOVE! I happened to pick up The Body Shop Fuji Green Tea Shampoo last year when I was in Singapore for a vacation. I think it had just launched in India at that point. However I started using it just about 3 months ago and I am stoked at how little hairfall I have when I use this shampoo. It is so mild, but is still manages to get the excess oil out of my hair. My hairfall in the shower has really reduced drastically and the first time I that I used this shampoo I could not believe my eyes. I thought maybe that was just for the first use, but now, every time I have used this I have less hairfall in the shower. When I say less hairfall I mean in comparison to any other shampoo I have ever used till now. I tried using different shampoos in between and noticed that I had a lot of hairfall when I use anything else. It also makes my hair soft which is an added bonus. I sometimes use only shampoo and no conditioner and I find that my hair is manageable the day I wash it and the day after, but by day 3 it is frizzy again. I generally use Scalpe for my second rinse and my itchy scalp has started to feel better. The Body Shop Fuji Green Tea Shampoo is hands down the best shampoo I have used till date (and I have even tried Kerastase). Does this mean I will never try any other shampoo again? No I will definitely keep trying new products because how else will I review them for you, but now I have a benchmark as to how my ideal shampoo should work. So the other brands out there really need to step it up. 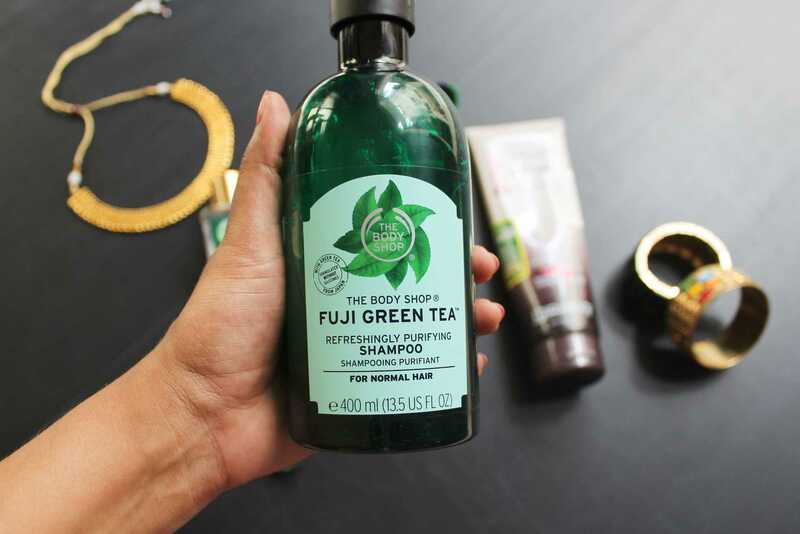 The Body Shop Fuji Green Tea Shampoo is priced at 945INR for 400ml. Conditioner- Now while I found a fix for my shampoo predicament, finding the right conditioner has been an eternal struggle. I absolutely love the Kerastase Nutritive Oleo Relax conditioner and while a tub does last for over 6 months, the price point makes me heart break and it is filled with chemicals. I was on the lookout for a more natural replacement and of course a more affordable. I stumbled upon Giovanni Brazilian Keratin and Argan Oil conditioner, at Health and Glow. 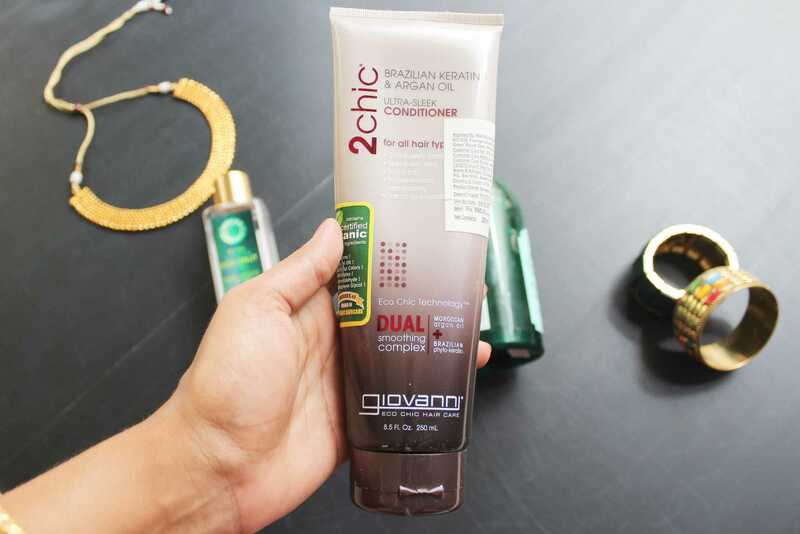 Giovanni contains certified organic ingredients and is the closest I have come to an organic based conditioner that works. This conditioner has been absolute love since the first use. It makes my hair super soft, shiny, and a lot more manageable. The effect lasts for 3 days after a wash without a very greasy look. It makes my hair relatively less frizzy as well. Depending on how I dry my hair, it either accentuates my natural curls or gives my hair a sleeker look. According to Anjana of Curls and Beauty Diary, a good conditioner contains emollients, cationic surfactants and oils (in that order), so for the first time I looked at the ingredients list before buying this conditioner and it contains all the ingredients that she talks about. I have used this conditioner with both the TBS Fuji Green Tea Shampoo and also the Devathali shampoo, and it works well with either! Priced at 695INR for 250ml, I think I will definitely repurchase this. 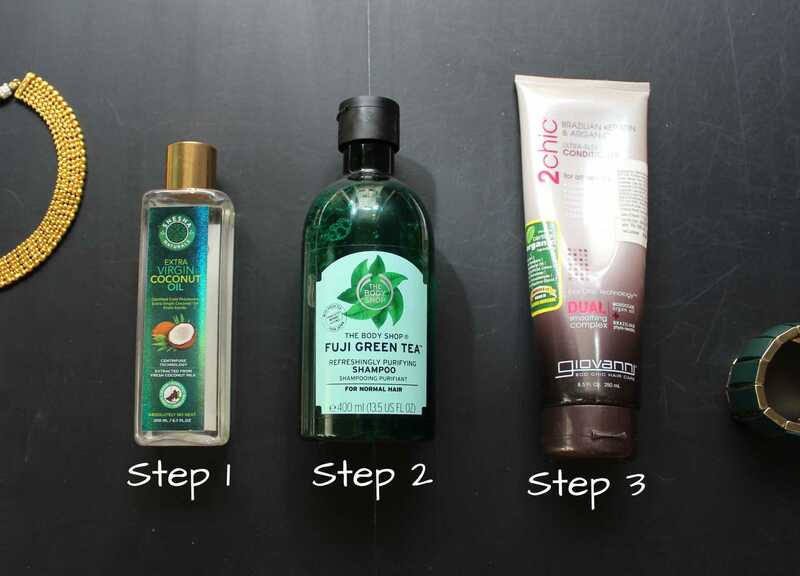 So there you go, my current hair care routine. Let me know what you think about my haircare routine and any suggestion of new products that you think I should try. I know this was a really long post but I hope you enjoyed it! Do subscribe to my blog via email, and follow Ishtyleawhile on Facebook, Twitter, Pinterest for more interesting updates.